Home > Departments > Faculty > James McCarthy Ph.D. Professor James McCarthy earned a B.A. in English and Environmental Studies from Dartmouth College and an M.A. and Ph.D. in Geography from the University of California, Berkeley. Prior to joining the Graduate School of Geography in 2011, he was an Assistant and Associate Professor of Geography at Penn State University (2000-2011). 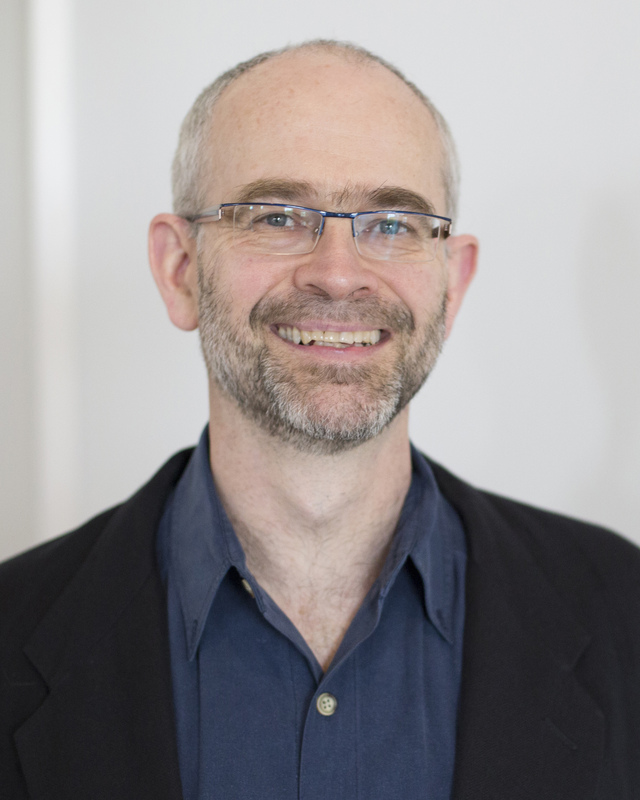 Professor McCarthy’s areas of interest include: political ecology; political economy; environmental politics, policy, and governance; property; rural areas and extractive industries; social movements; and social theory. His research and teaching center on questions of environmental governance: how people lay claim to and struggle over their environments; how human societies regulate their relationships with their environments and with what consequences; and, especially, how the political-economic structures and dynamics of capitalist societies produce particular sorts of environmental transformations, dynamics, and outcomes. In each case, he is interested in whether the relationships in question are just and sustainable, and in how they transform individuals, societies, and environments over time. Professor McCarthy has investigated these questions with respect to a variety of environments and dynamics in the United States and Canada, and globally, including comparative analyses of public lands politics and community forestry programs, the scalar strategies of environmental NGOs and social movements, the effects of neoliberal ideas in environmental governance, and the relationships between trade policy and environmental regulation. He believes strongly in the practical application of ideas, and has done work for the Ford Foundation, Oxfam, and other organizations involved in shaping policy and programs in these areas. Forthcoming. “The political economies of political ecology.” In J. Peck, T. Barnes, and E. Sheppard, eds., The New Companion to Economic Geography, Wiley-Blackwell. Forthcoming. “First World political ecology: lessons from the Wise Use movement.” Reprinted in Elden, S., Thrift, N., Barnes, T. J., Peck, J., Batty, M., Langley, P. A. & Bennett, R. J. eds., Environment and Planning. Sage/Pion; 2012. 2011. “L’écologie politique du premier monde : les leçons du mouvement Wise Use” [Translation and reprint by request of “First World political ecology: lessons from the Wise Use movement.”] Écologie & Politique 41: 49-71. 2011. “The social and environmental geographies of Boston’s Big Dig” (with Kate Derickson). In Brunn, S., ed., Engineering Earth: The Impacts of Mega-Engineering Projects. Springer, pp. 697-713. 2010. “From hope to crisis and back again? A critical history of the global CBNRM narrative” (with W. Dressler, B. Büscher, M. Schoon, D. Brockington, T. Hayes, C. Kull, and K. Streshta). Environmental Conservation 37(1): 5-15. 2010. “Wise Use Movement.” Invited contribution to the Warf, B., ed., Encyclopedia of Geography. Sage. 2009. “Carrying capacity,” “Common pool resources,” “Crisis,” “Limits to growth,” “Marxist geography,” “Social movement,” and “Uneven development.” In Gregory, D., R. Johnston, G. Pratt, M. Watts, and S. Whatmore, eds., The Dictionary of Human Geography (Fifth Edition). Cambridge, MA: Blackwell. 2009. “Commons.” Invited contribution to N. Castree, D. Demeritt, and D. Liverman, eds., Companion to Environmental Geography, Blackwell. 498-514. 2008. The geographies of Global Shadows. Singapore Journal of Tropical Geography 29: 262–265. 2008. The annual meeting of the AAG is out of control. Environment and Planning A 40: 2544-2548. 2008. “Rural geography: globalizing the countryside.” Progress in Human Geography 32 (1): 129-137. 2007. Neoliberal Environments: False Promises and Unnatural Consequences. Co-edited with Nik Heyen, Paul Robbins, and Scott Prudham. Routledge. 2007. "States of nature: theorizing the state in environmental governance." Review of International Political Economy 14 (1): 176-194. 2007. "Territoriality." In M. Bevir, ed., Encyclopedia of Governance. London: Sage. Vol. II: 958-959. 2006. "Rural geography: Alternative rural economies ­ the search for alternatives in forests, fisheries, food, and fair trade." Progress in Human Geography 30 (6): 803-811. 2006. "Neoliberalism and the politics of alternatives: community forestry in British Columbia and the United States." Annals of the Association of American Geographers 96 (1): 84-104. 2005. "Hurricane Katrina and state abandonment." Editorial (with Bruce Braun, Department of Geography, University of Minnesota). Environment and Planning D: Society and Space 23: 802-809. 2005. "Multifunctional rural geographies: reactionary or radical?" Progress in Human Geography 29 (6): 773-782. 2005. "Scale, sovereignty, and strategy in environmental governance." Antipode 37 (4): 731-753. 2005. "Devolution in the woods: Community-based forestry as hybrid neoliberalism." Environment and Planning A 37 (6): 995-1014. 2005. "Commons as counterhegemonic projects." Capitalism, Nature, Socialism 16 (1): 9-24. 2005. "First World political ecology: directions and challenges." Environment and Planning A 37 (6): 953-958. 2004. "Race, nation, and nature: the cultural politics of 'Celtic' identification in the American West" (with Euan Hague, Department of Geography, DePaul University). Annals of the Association of American Geographers 94 (2): 387-408. 2004. "Privatizing conditions of production: trade agreements and environmental governance." Geoforum 35 (3): 327-341. 2004. "Neoliberal nature and the nature of neoliberalism." (with W. Scott Prudham, Department of Geography, University of Toronto). Introduction to special issue on "Neoliberalism and environmental governance. Geoforum 35 (3): 275-283. 2001. "Environmental Enclosures and the State of Nature in the American West," In Peluso, N. and M. Watts, eds., Violent Environments. Ithaca, NY: Cornell University Press. 2000. "Social Movement," In Johnston, R., Gregory, D. and Smith, D., eds. The Dictionary of Human Geography (Fourth Edition). Cambridge, MA: Blackwell. 1998. "The Good, the Bad, and the Ugly: Environmentalism, Wise Use, and the Nature of Accumulation in the Rural West," In Braun, B. and N. Castree, eds., Remaking Reality: Nature at the Millennium. London: Routledge. I am interested in advising graduate students whose interests overlap with any of my areas of interest. Your research agenda does not have to fit neatly within or precisely parallel mine; so long as we overlap enough for me to supervise the work, what is most important to me is that my students do the best possible job on research to which they have a deep commitment. Students working with me have explored a wide range of topics in human-environment geography, political economy, and human geography (see list of current and former graduate advisees, below.